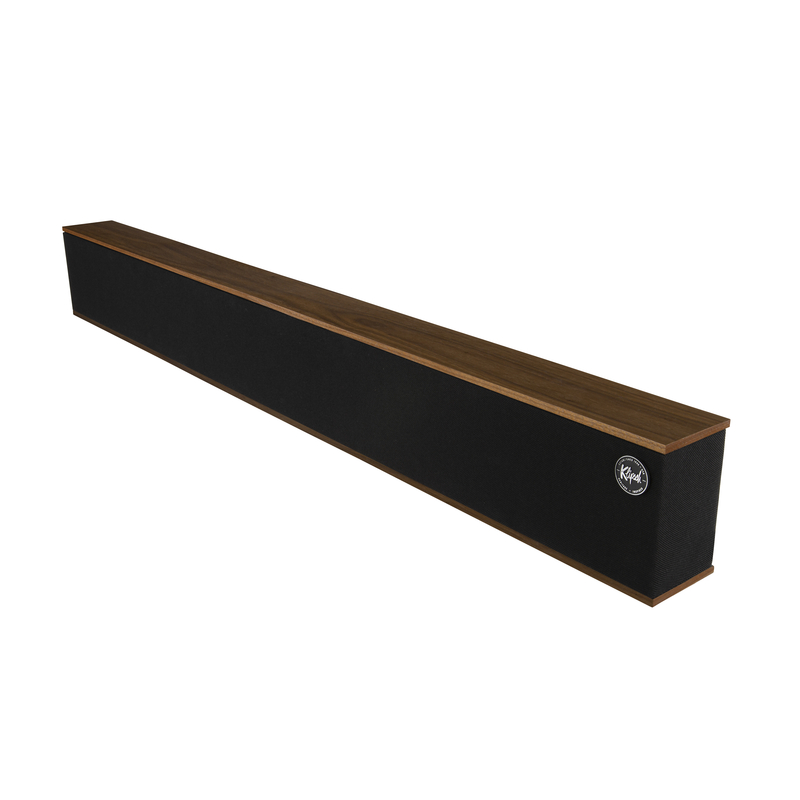 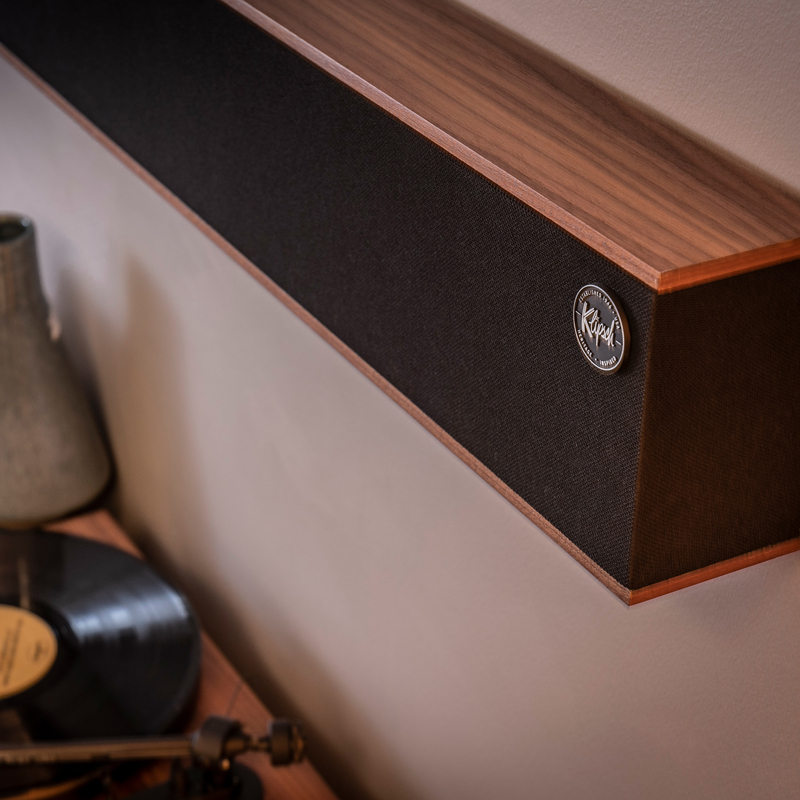 The Klipsch Heritage Theater Bar is unlike any other custom sound bar. 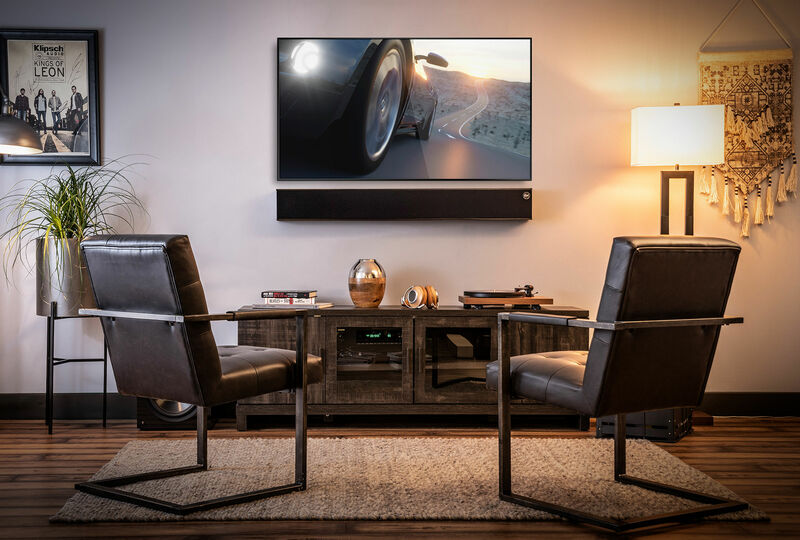 Our expert fabricators build your Heritage Theater Bar to match your desired aesthetics at the perfect length - down to the 1/10th inch. Able to deliver a robust left, center and right channel acoustic experience with a low-profile design, the Klipsch Heritage Theater Bar is the ideal custom solution for your next project. 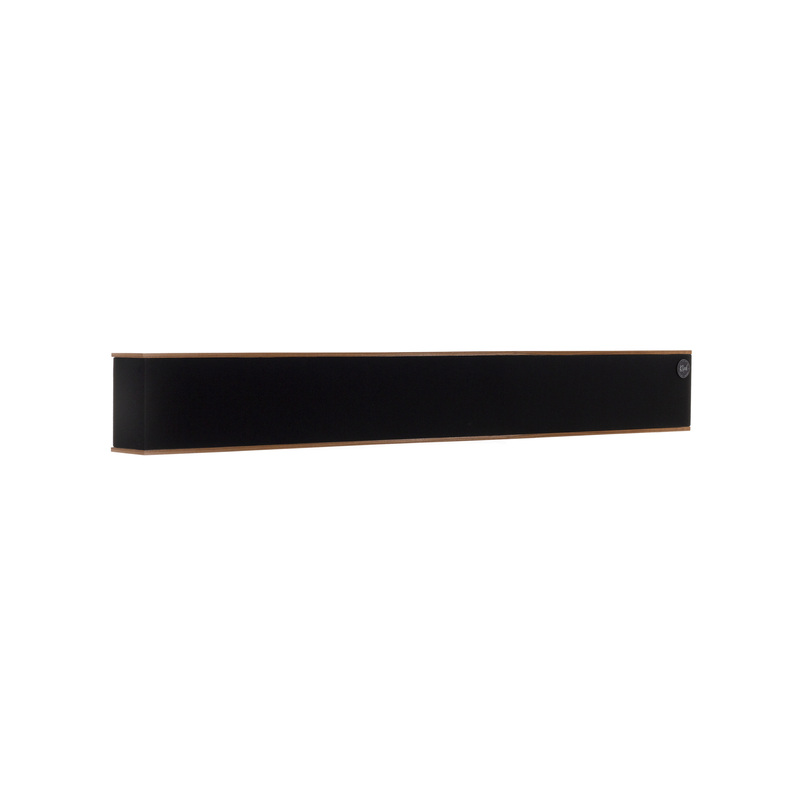 In a world of plastic sound bars, The Heritage Theater Bar makes a statement. 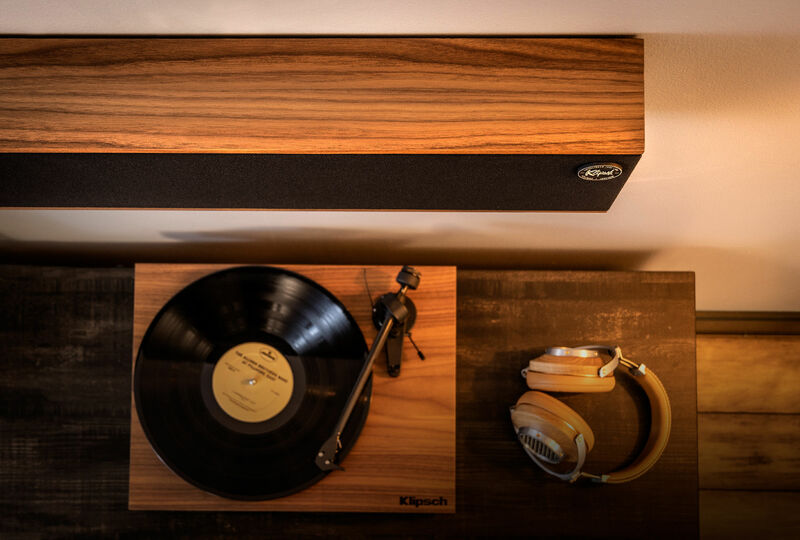 Utilizing furniture grade wood veneers and premium grille materials, this sonic centerpiece is sure to impress. 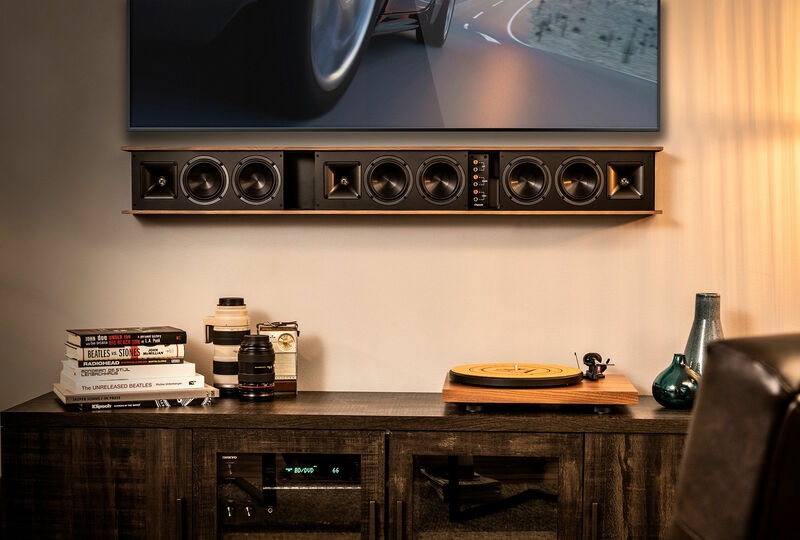 The Heritage Theater Bar features a built-in rail mounting system; when combined with the wall-mount cleat (included), you end up with a flush, secure connection that's only 1/4” deep. 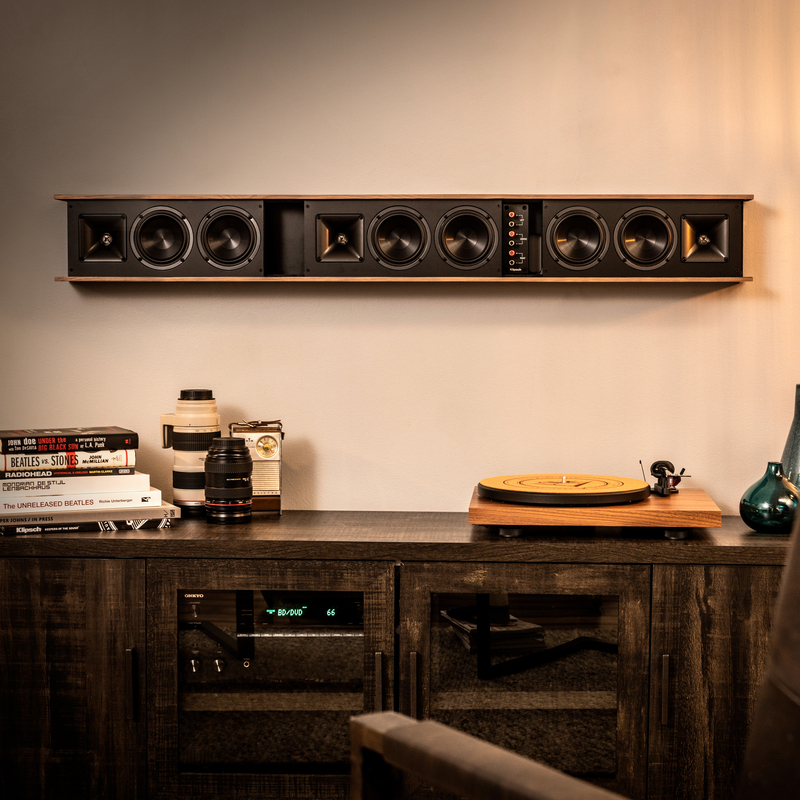 The Klipsch Heritage Theater Bar comes in multiple wood finishes and grille options including Natural Cherry, Distressed Oak and a Primed White - ready to be painted any color. 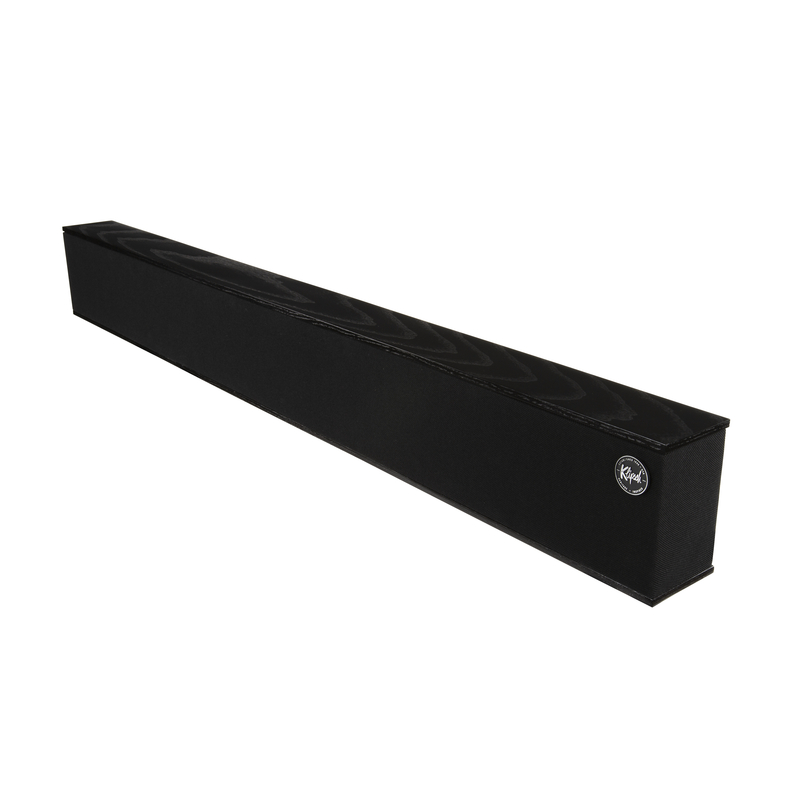 Our expert fabricators build your Heritage Theater Bar to match your desired aesthetics and width - down to the 1/10th inch. 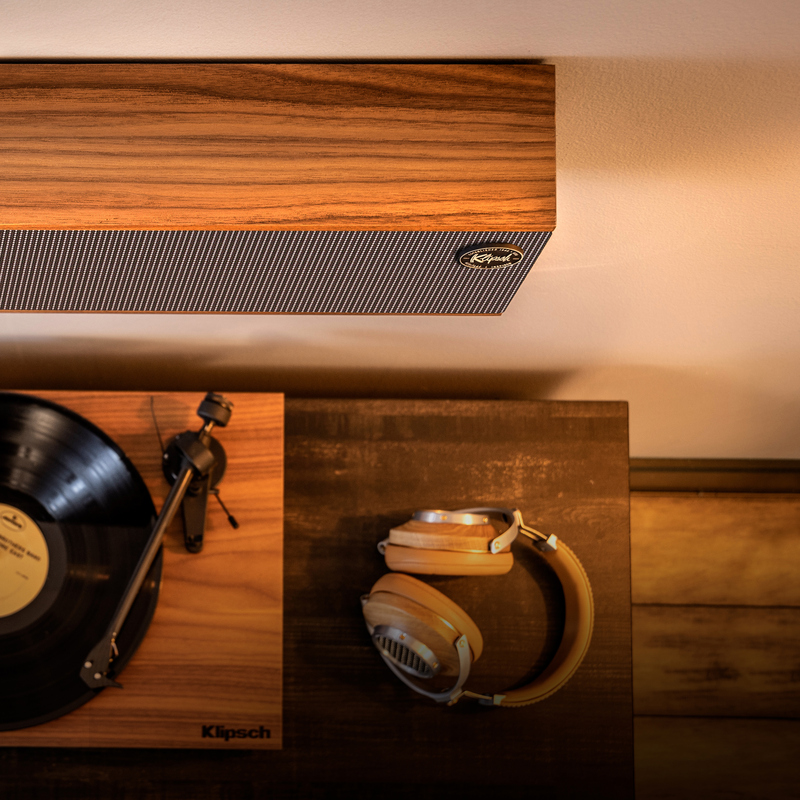 Contact your nearest Klipsch Installer today. 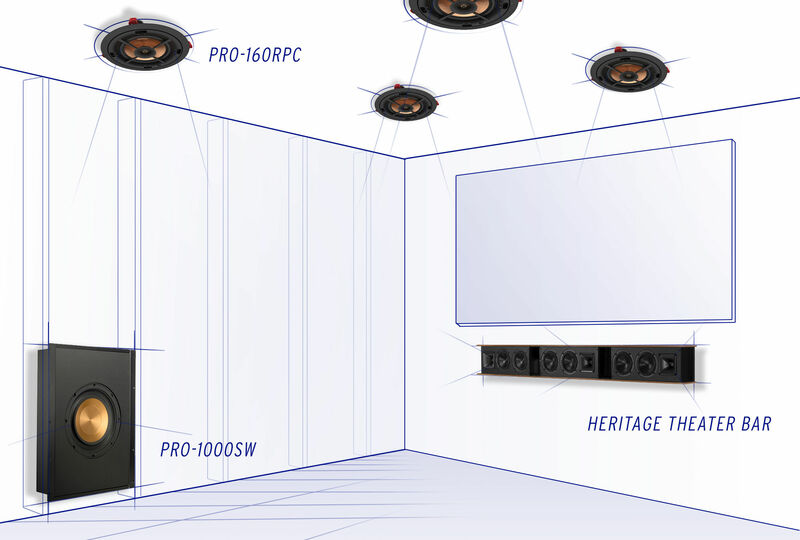 Our exclusive Tractrix® Horn-Loaded Technology and Linear Travel Suspension Titanium Tweeters deliver astonishing high-end response with incredible acoustic extension - all while enhancing imaging and dynamics. 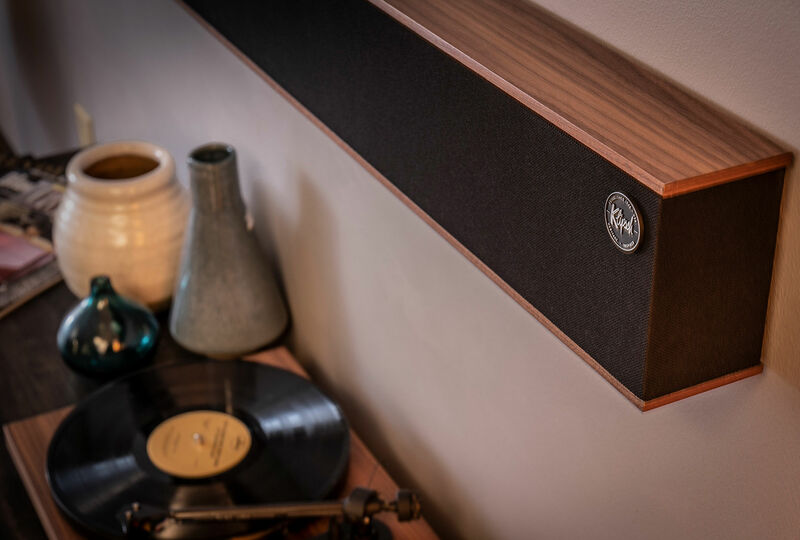 Cerametallic woofers represent the pinnacle of Klipsch driver design, maintaining exceptional rigidity, and lightweight construction, for minimal distortion. 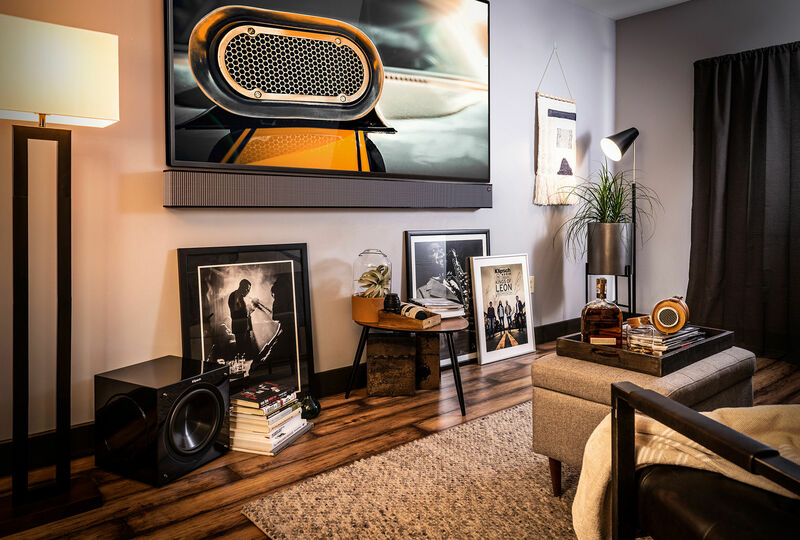 We pack six Cerametallic Woofers into each Klipsch Heritage Theater Bar, and when paired with the Tractrix® Horn-loaded LTS tweeters - it provides the highest speaker efficiency in its class. 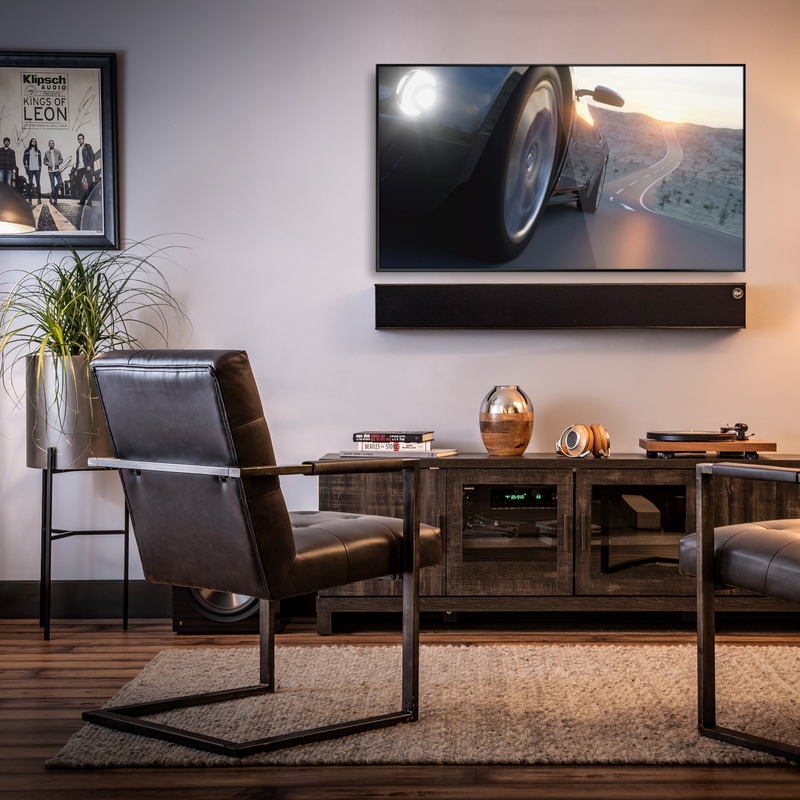 Featuring dedicated left, center and right channel speakers built into this passive theater bar, The Klipsch Theater Bar acts as a perfect solution to customize with our series of premium installation products to build the ideal home theater.